Peter Webb is a British Academy Postdoctoral Fellow (2015-18) at SOAS, University of London. Who are the Arabs ? When did people begin calling themselves Arabs ? And what was the Arabs’ role in the rise of Islam ? Investigating these core questions about Arab identity and history through close interpretation of pre-Islamic evidence and the extensive Arabic literary corpus in tandem with theories of identity and ethnicity prompts new answers to the riddle of Arab origins and fundamental reinterpretations of early Islamic history. It is revealed that the time-honoured stereotypes depicting Arabs as ancient Arabian Bedouin are entirely misleading : the essence of Arab identity was in fact devised by Muslims during the first centuries of Islam. Arab identity emerged and evolved as groups imagined new notions of community to suit the radically changing circumstances of life in the early Caliphate. The idea of ‘the Arab’ was a device used by Muslims to articulate their communal identity, to negotiate post-Conquest power relations, and to explain the rise of Islam. 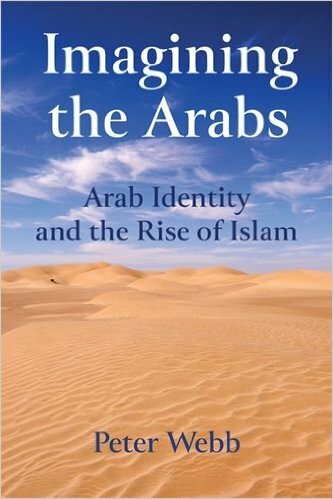 Over Islam’s first four centuries, political elites, genealogists, poetry collectors, historians and grammarians all participated in a vibrant process of imagining and re-imagining Arab identity and history, and the sum of their works established a powerful tradition that influences Middle Eastern communities to the present day. (Photo Credit) : Anthony Brown. Thanks for him for this wonderful picture !